AIMS is a North American stocking distributor for Tefen, a world leader in plastic fittings and water-driven injectors. 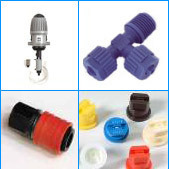 Tefen offers a wide variety of injection molded and extruded products for the pneumatic, automation and irrigation industries, as well as the Mix-Rite line, a unique range of non-electrical proportional liquid injector pumps. AIMS offers an extensive line of high quality fittings for tanks and IBCs, including spin weld raised and flush FPT fittings, spin weld slip fittings, spin weld patches, spin weld lids, spin weld bosses, as well as tank grommets, tanks lick wheels and heavy duty PP and PE bulkhead fittings. Spin Welding is the process of friction welding fittings to containers or tanks with high RPM. 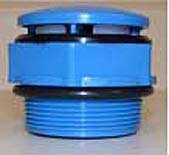 When properly done the fitting becomes integral with the container and will become almost as durable. AIMS offers a complete selection of high quality imported nylon cable ties at extremely competitive prices as well as a full line of US made regular and special cable ties. These vacuum breaker and pressure relief valves are made according to US Department of Transport norms and are intended as safety devices for the Intermediate Bulk Container industry. Super Strong Dupont Nylon 66! 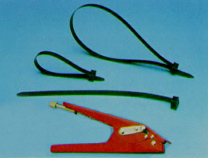 AIMS is proud to introduce the revolutionary FLEXI-CLAMP, the world's first plastic worm drive hose clamp. 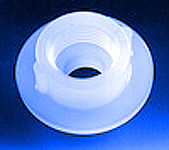 Made of strong nylon 66, the FLEXI-CLAMP combines the versatility of the worm drive design with the advantages of safer and more competitive non-corrosive plastic material.